Deliviered ONLY on Sundays between 12:00pm - 16:00pm. Challenge 25 - ID will be checked! Wine can only be ordered to accompany food. Please note our prices may differ from our paper menu as offers are already discounted. This will be at normal price at checkout. Mozzarella with sliced beef tomato topped with basil & olives. Smoked salmon served with prawns & marie rose sauce. Homemade chicken liver pâté served with toasted bread. Norwegian prawns served on a bed of salad with marie rose sauce. Mixed olives marinated in basil & olive oil served with homemade bread. Homemade toasted bread topped with tuna, onions & olive oil with a touch of white wine vinegar. Home made toasted bread topped with diced tomatoes marinated in olive oil, garlic, basil & oregano. Mozzarella cheese stuffed mushrooms served with garlic butter sauce. Goat cheese served on a slice of home made toasted bread oven baked & topped with freshly diced tomato. Deep fried potato skins with garlic mayonnaise or BBQ sauce. Layers of baked aubergines with tomato, mozzarella cheese & basil. Served with bread. Mushrooms cooked with white wine & garlic butter. Homemade beef meatballs in a tomato & garlic sauce. Chicken strips coated in breadcrumbs, deep fried & served with garlic mayonnaise. King prawns cooked in white wine sauce & garlic. King prawns cooked in a chilli & tomato sauce. Hot. Mussels cooked in tomato, chilli, garlic & white wine. Pizza bread with rosemary & olive oil. Freshly made 12" stone baked pizzas. For additional toppings simply click 'Select Extras' in your cart. Onions, peppers, chilli & bolognese. Garlic, mushrooms, onions & ham. Spicy sausages, chicken, ham & bolognese. Cheese, tomato, tuna & onions. Pasta layers baked with bolognese, tomato, basil, béchamel sauce & mozzarella cheese. Fresh pasta stuffed with spinach & ricotta cheese. Pasta cooked with smoked salmon in a creamy sauce with a hint of tomato. Pasta cooked with bacon, onions & tomato. Pasta cooked with bolognese sauce. Pasta cooked with garlic, fresh basil, parmesan cheese & tomato sauce. Oven baked pasta with bolognese sauce, mozzarella cheese, peas & ham. Oven baked pasta cooked with mixed vegetables, mozzarella cheese & tomato sauce. Pasta cooked with bacon & fresh cream. Chicken, mushrooms, cream & white wine. Pasta cooked with mussels, parsley, garlic, olive oil & a hint of tomato sauce. Pasta served with home made meatballs in a tomato & garlic sauce. Pasta cooked with mixed seafood, garlic & white wine & tomato. Pasta cooked with onions, mushrooms, peppers & chicken in a white wine & creamy tomato sauce. Hot. Vegetarian. Pasta cooked with garlic, chilli & tomato. Hot. Pasta cooked with spicy sausages, garlic, chilli & tomato. Fresh pasta filled with minced beef, tomato & béchamel sauce. Italian rice with chicken, mushrooms, onions & cream in a tomato sauce. Italian rice, mixed seafood, garlic & tomato. Italian rice, bolognese sauce & melted cheese. Italian rice, mixed vegetables & creamy tomato sauce. Italian rice with asparagus, prawns, tomato sauce & a touch of cream. All dishes served with fresh seasonal vegetables & chips or salad. Cooked with onions & mushrooms in a creamy white sauce. Chicken breast & peppercorn sauce. Cooked with onions, mushrooms, red wine, french mustard & cream. Garlic, onions, mixed peppers, mushrooms, olives & tomato sauce. Hot. Chilli, garlic & cherry tomatoes. Cream, leak, garlic & bacon. Chicken breast bread crumbed & filled with garlic butter & parsley. Flattened chicken breast bread crumbed & topped with melted cheese & creamy garlic sauce. Deep fried bread crumbed chicken in a tomato sauce topped with ham, mozzarella cheese & asparagus. Chicken sauéeted in garlic butter, white wine & rosemary sauce. Chicken breast with tomato sauce & mozzarella topped with asparagus. Chicken breast with king prawns in a garlic & white wine sauce or chilli tomato & garlic sauce. Choose from: sirloin or fillet steak. Served with fresh seasonal vegetables & chips or salad. Cooked in a creamy blue cheese sauce. Tomato, garlic, black olives, red wine & oregano. Mushrooms, onions, red wine, french mustard & cream sauce. Served in a red wine & peppercorn sauce. Served in a white wine & garlic butter sauce. Served with fresh seasonal vegetables & chips or salad. King prawns cooked in a white wine & garlic sauce. Hot. King prawns cooked with chilli, white wine, garlic & tomato. Hot. Fresh mussels cooked with chilli, white wine, garlic & tomato. Fresh mussels cooked with white wine & garlic. Pan fried salmon in a sauce of onions, prawns, dil, white wine & cream. Pan fried sea bass in a lemon butter with garlic & white wine sauce. Tomato, onion & basil salad. Asparagus served with butter & Parmesan cheese. Spinach sautéed with garlic, chilli & olive oil. Extremely good quality food ! As always food was superb. Delivery always on time. Can not recommend this place highly enough.. Excellent service, brilliant food, fast delivery. Great price, what more could you ask for. Highly recommended. Food was fantastic as always and the staff are superb. 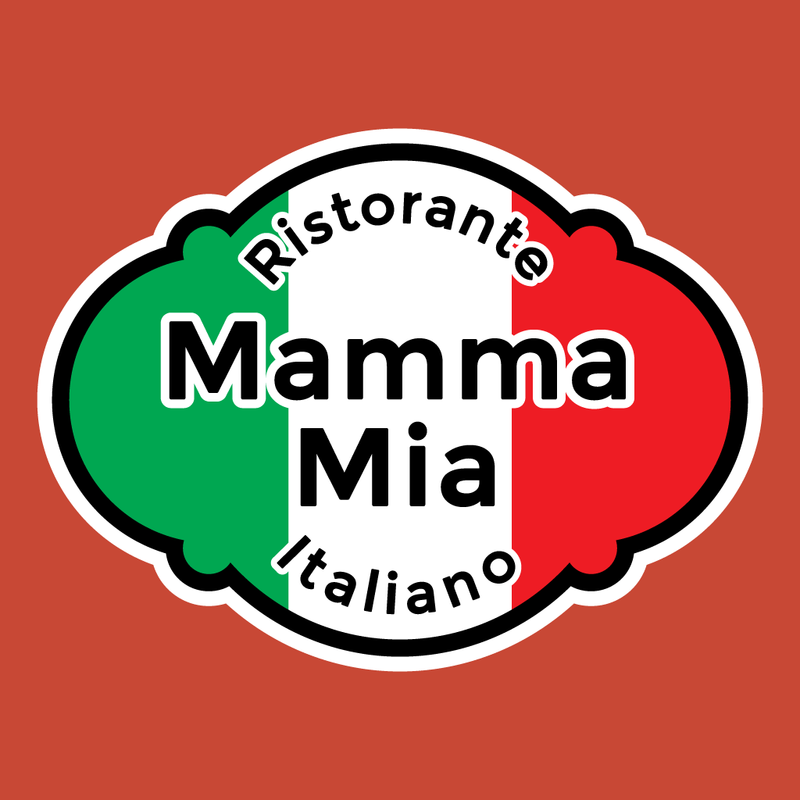 I would highly recommended Mama Mia for either take away or a meal in the restaurant. Food I ordered was delicious, opted for delivery and was piping hot when delivered, also the free cake was a nice touch and also very delicious, would definitely recommend. Ordered 2 pizzas on special for Â£10.00.. couldn't fault them. Great taste with plenty of topping. Base was just right... Highly recommended..
Food was delicious and plenty of it. Could not fault it at all. Excellent value for money ð??? Speedy delivery and tasty food. Ordered two 3 meat Sunday dinners for delivery. Fantastic quality. The meat was great, beef just melted in your mouth. Lovely roasties n really tasty turnip n mashed potato..... Highly recommended. Really tasty food, great portion size & beautiful desert. Iâ? ?ve eaten in the restaurant and the collection meal was just as beautiful! Cannot fault the food here. Itâ? ?s delicious. We order 3 courses and each one was amazing. Finished off nicely with the wine. Would definitely order take away from here again but recommend everyone try in restaurant too because the service is second to none! Had the meal deal chicken kebab and pizza with a portion of chips - lovely!